Fort Wayne Real Estate is found here! The best place to sell and purchase Fort Wayne Real Estate. Searching for a Fort Wayne Realtor? If you want to buy a home or sell a house in the Fort Wayne real estate market, this website is the perfect to help buyers and sellers succeed. Among Fort Wayne real estate companies, Coldwell Banker stands out above the rest with the top realtors. Find the most current Fort Wayne real estate listings, get assistance buying a home, find out your house value and/or get advice from local Fort Wayne real estate agents. We can help you find out about area communities, neighborhoods and subdivisions; also, you can find land, farm ground, and houses for sale in a country setting. Get the help you need and deserve from a local real estate agent Jason Pence Realtor Fort Wayne. Sell your home and other real estate with us! We want to assist you in finding your next home, get the home buyer help you deserve now! Looking to buy a home in Ft Wayne, IN? We’re here to help! Our team of experienced, dedicated REALTORS are available to assist you through every stage of the home buying process. Whether you’re a first-time buyer or a seasoned investor, we have the skills and knowledge needed to ensure your best interests are protected when you buy a home in Allen County Indiana. If you’re like most Americans, a home is the biggest purchase you’ll ever make – it represents years, or even decades of hard work and savings, so it’s important to make the right choices when it comes to buying a home. Here at Pence Realtors in Fort Wayne, IN, our team of dedicated REALTORS know the local market inside and out. We can help you, the home buyer, find the perfect property to match your personal tastes, preferences, and budget. We’ll provide you with clear, expert advice throughout the home buying process to ensure your interests are fully protected, and that you’re completely satisfied with your home purchase. Full-Service Fort Wayne, IN REALTORS As a full-service REALTOR, we do more than simply show you Fort Wayne, IN homes for sale – we work with you and your family throughout ever step of the home-buying process. We’ll start by discussing your budget, and helping you determine how much you can afford to spend when you buy a home. If you need help with financing, we’ll provide you with information about the various home lending options in the area, and we’ll source out homes for sale that fit both your budget and your preferences in terms of location, style, and type of home. When it comes time to sign your purchase contract, we’ll help you negotiate the best possible price on your new Fort Wayne, IN home, and we’ll make sure that all the terms and conditions in the sale contract are clear and favorable for you, the home buyer. To learn more about how we can help you buy a home in Fort Wayne, IN, call or email us today! Searching Fort Wayne real estate to find homes for sale? Contact Jason and Heidi Pence Realtors Wayne: we can help find houses for sale in Fort Wayne IN. Do you think you have found the perfect home? Information overload? Where ever you are in the home purchase process: get the help you need! A home buyer should have their own REALTOR looking out for their best interest on every single step of the home purchase process. Sell a Home with us, we know your property is special! We Sell Houses for More! If you are interested in selling a house in the Fort Wayne, Indiana area, then you have come to the right website. We are the local experts who can help you to sell your home quickly, and get the best possible price. We have years of experience when it comes to listing a house in the Fort Wayne area, and we invite you to put our experience to work for you. We offer a comprehensive set of tools that will help you in selling a house of any value and in any condition. Our website is a resource for people looking to buy a house in the Fort Wayne area, which means that you get maximum exposure when you are listing a house for sale. Our real estate experts are ready to answer any questions you may have about how to sell a house, how to price a house, and how to get the kind of exposure your house needs to sell fast. The longer you have to hold onto your house, the more money it costs you. By listing a house on our website, you will cut back on those holding costs and lower your overall investment in your property. Are you selling a house from a subdivision in Fort Wayne? Then we have the expertise necessary to get your listing seen by people who are interested in buying. We can also help you to sell your vacant rural lot to someone who has always wanted to build their own house out in the country. We put all of our resources to work for you, and we make sure that you get the best possible return on your real estate sale. Get the kind of local help you need and deserve by contacting the professionals at our organization. Let us put our comprehensive website to work for you, and let us guide you towards getting the kind of results you deserve. If you are selling a house in the Fort Wayne area, then we are the only website you need to make the most of your transaction. Purchasing a home is usually one the largest investments many people make. Searching for a house and finding the perfect home here in northeast Indiana has been made easier because the Internet makes the home buying client a much more informed customer. If you have found a house or property that you would like to see: call us first! Jason and Heidi Pence Realtors Fort Wayne of Coldwell Banker Fort Wayne that will help you the home buyer through the house purchasing process. We at Pence Realty want to give each real estate client the real estate agent service they deserve! Fort Wayne has it all – beautiful summers, a low cost of living, and most importantly – a high quality of life. It’s a three time All-American City Award Winner, and its Hoosier Hospitality is famous. Whether you’re a young professional looking for your first home, a growing family looking to get a few extra bedrooms, or an empty nester who’s ready to downsize, we can help you with Fort Wayne Real Estate. We’re not a large national website that’s going to provide you generic (and usually wrong) information. Instead, we’re local – we’ve driven down Clinton Street and across Saint Marys River, we’ve golfed at Sycamore Hills Golf Club, and we’ve watched future NBA stars play for the Mad Ants. You can be assured that when we talk about homes for sale in Fort Wayne – we know what we’re talking about. Fort Wayne has a wide variety of homes and condos that would be a perfect fit on Main Street, USA. We’d be happy to take you on a tour of some 3 bedroom ranch-style homes, show you the view from some condos, and let you explore the space of a 4 bedroom, two-storey home with a two car garage. We’re not interested in putting you in any home, we want to put you in the best home for you! Or, if you’re looking to sell a house in Fort Wayne, we can help! These days, you can’t just throw your house up on the market, cross your fingers, and expect it to sell. Instead, you have to understand the market, price competitively, and know how to stage your home properly – all things we can help with! When you decide to enter the Fort Wayne real estate market and sell your home, we’ll provide you with a complimentary competitive market analysis that will help you determine your home’s worth. We’ll research other homes in your area and figure out how much they sold for, so you can price your home competitively. Curious? Then use our house value calculator so you can learn how much you can sell your home for – before you even have to list it! Maybe you’re looking for top realtors in Fort Wayne Indiana or realtor reviews Fort Wayne, among Fort Wayne real estate companies such as: Century 21 Fort Wayne, Remax Fort Wayne or Northeastern Group? There’s good news, you have found a great Realtor with Coldwell Banker Fort Wayne! The man behind Fort Wayne Real Estate is Jason Pence, a friendly, engaged real estate agent and citizen. He lives in the Fort Wayne area, and knows it like the back of his hand. Whether you’re looking for a place that let’s you walk to work, or a quiet building to relax in during the evenings, he’ll be able to point out exactly what it is you need. And if you’re trying to sell a house, he will guide you through the process, from listing to closing. You’ll know exactly what you need to do each step of the way, and you’ll know that you have one of the Fort Wayne real estate experts on your side. Don’t settle for second best – get the real estate agent you deserve. Are you ready to start your search for your next Fort Wayne house? Or are you ready to list your Fort Wayne house for sale? Then contact us online, or give us a call, and we’ll help you get started. You could be only minutes away from looking at some of the most beautiful homes for sale in Fort Wayne, Indiana. Fort Wayne is Indiana’s second-largest city after Indianapolis and sits in the state’s northeasterly portion near Ohio’s border. The city is Allen County’s county seat and was established towards the end of the 17th century. Founded by Anthony Wayne, the city initially started out as a trading post. This is partly because it had well-established transportation waterways, namely St. Mary’s River, Maumee River, and St. Josephs River, this made it very easy to access. After being platted in 1823, the city’s economy was mainly driven by manufacturing. Today, however, its economy is driven by different industries across different fields and is an ideal place for young families and professionals to live in. Because of its diversity and the quality of life it has to offer to residents, the city has received the All-America City Award an impressive three times. 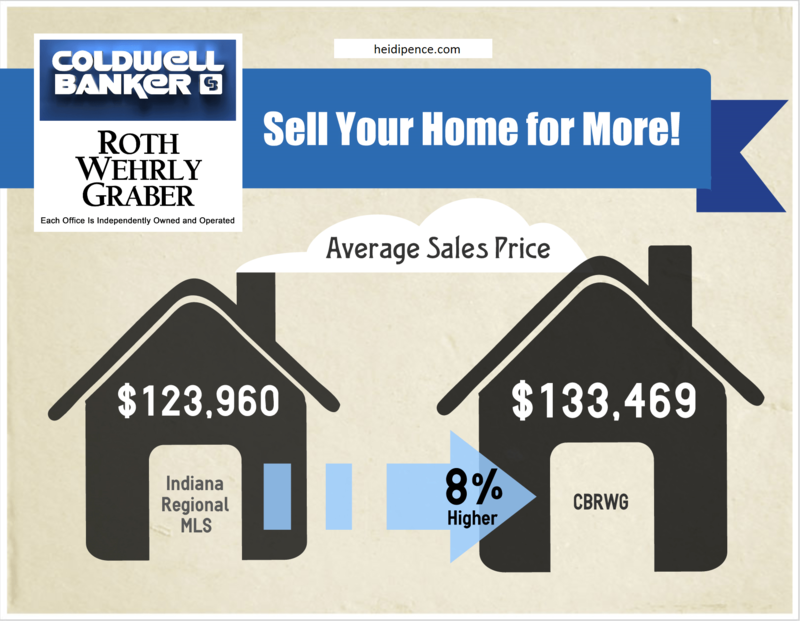 The Fort Wayne real estate market is one of the hottest properties markets in the country. According to statistics, the market for the city has been experiencing a steady growth for about four consecutive years now – a good sign for both residents and real estate investors. As such, if you are thinking of buying or selling a property in Fort Wayne, then now is a good time to do so. However, it is important to note that the local real estate market currently favors sellers – new listings have increased by over 3% in the last few years, while the available inventory has gone down by almost 20%. The city is usually divided into four distinct geographical areas. These are southwest, southeast, northwest, and northeast. The southwest and southeast areas are separated by Calhoun Street while the northwest and northeast areas are separated by St. Joseph River. Each of the city’s quadrants offering diverse neighborhoods and residential areas for investors to choose from. Inventory levels, or a lack thereof, have had a considerable impact on price levels. As a result, home values have shown some improvement over the last couple of years. While the appreciation rate might be over 12%, nearly double the national average, the median value of properties in Fort Wayne currently stands at just over $93,000 (the national average is just a bit over $208,000). Since properties in the city are significantly cheaper than most properties in most markets around the country, it is easy to see why there is a sudden spike in interests, especially amongst millennials. According to the NAR (National Association of Realtors), Millennials make up the largest portion of recent investors. The median listing price per square foot of space in the city is $74, while that in the Fort Wayne Metro Area stands at about $80. The current median price for a property in the area stands at about $116,000 while the median rent price is $625. As the market continues to grow, investors can only wait and see what happens next. According to forecasts, the market is set to see a 3.8% growth over the next year. While this is a considerable increase, the good thing is that it shouldn’t have a major effect on prices. This, therefore, makes Fort Wayne real estate a safe bet since investors can still find good properties to invest in at considerably affordable prices. Fort Wayne real estate listings offer diverse options for investors. With plenty of single family properties on large plots of land, the city is an ideal place to raise a family. At the same time, there are plenty of commercial properties up for sale and rent for people looking to establish businesses in the area. This, coupled with the fact that there are plenty of well-established social, legal, educational, economic and recreational facilities and amenities, makes the city one of the best American cities to live in at the moment. If you are looking to buy or sell property, then working with a dependable real estate agent with good knowledge of the area is advisable. If you want to know more about Fort Wayne’s housing market, want to buy or sell a house, then we at Coldwell Banker are the people to contact. We understand Fort Wayne real estate listings better than any other realtor in the area and can help you meet your needs fast, professionally, and affordably. For more information or advice, give us a call on +1.260.416.5195 or fill out our contact form, and we will get back to you as soon as possible. Coldwell Banker Fort Wayne – Your Gateway to Fort Wayne’s Real Estate Market!